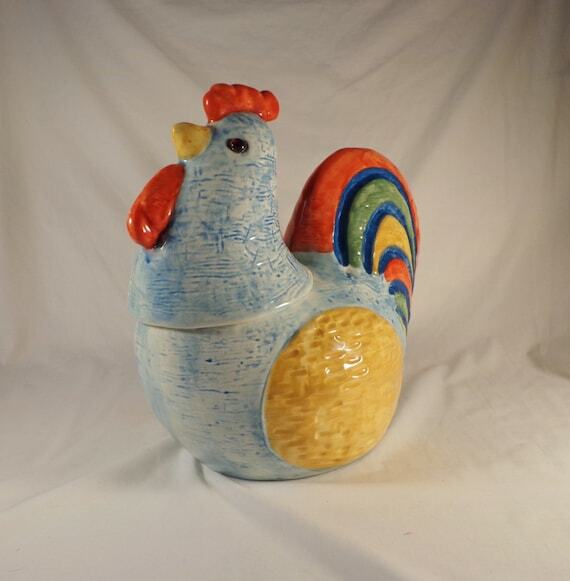 Collectible Rooster Cookie Jars Add to Flipboard Magazine. 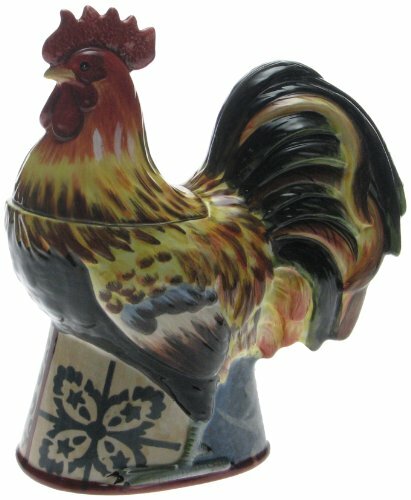 Collectible Rooster Cookie Jars for your Kitchen. 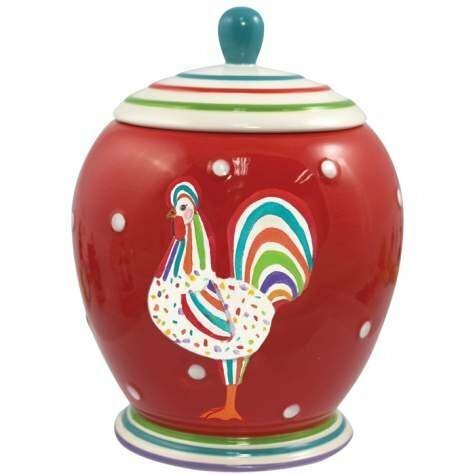 I love bright and cheerful cookie jars, especially if I can find them in my theme. 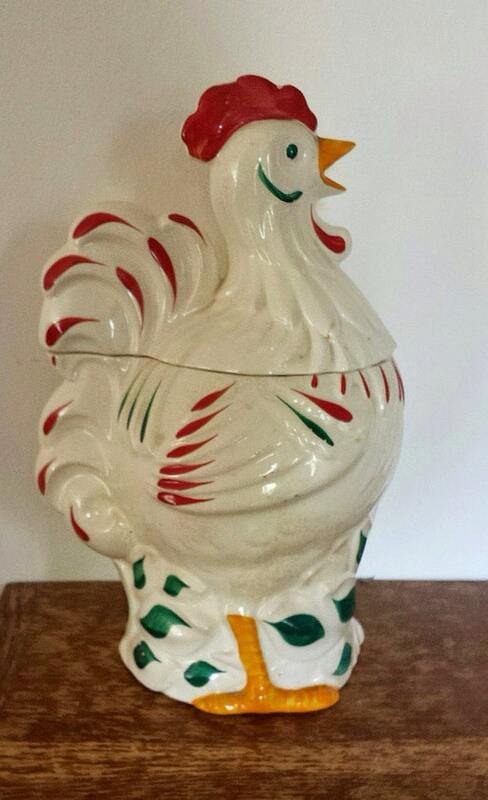 Collectible Rooster Cookie Jars were not hard to find online. Choosing just one will be the hard job. 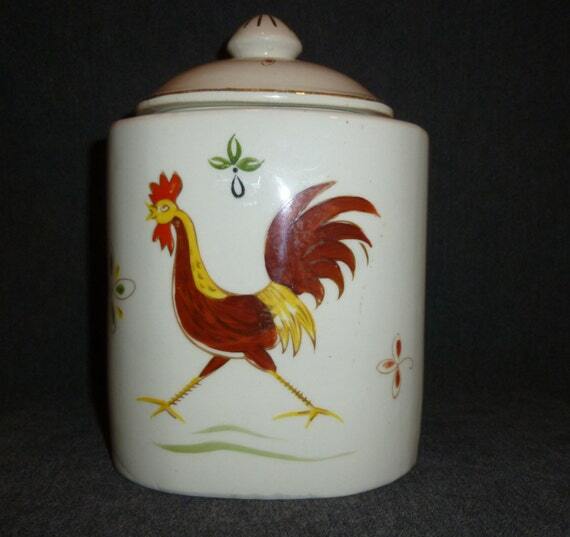 I really like the vintage looking rooster cookie jars and I know that once I have one, I will start collecting them. 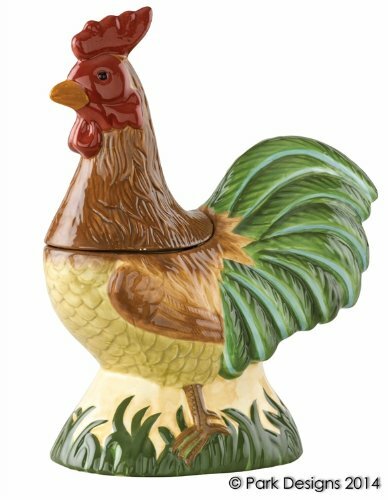 Especially when my friends realize that my kitchen is now roosters and not cows, they will start gifting me collectible rooster cookie jars. 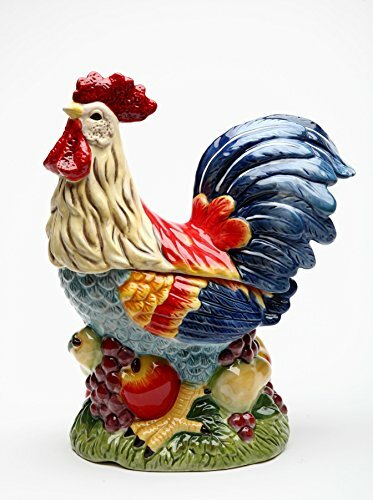 My favorite are the rooster cookie jars that are made in the shape of the rooster. 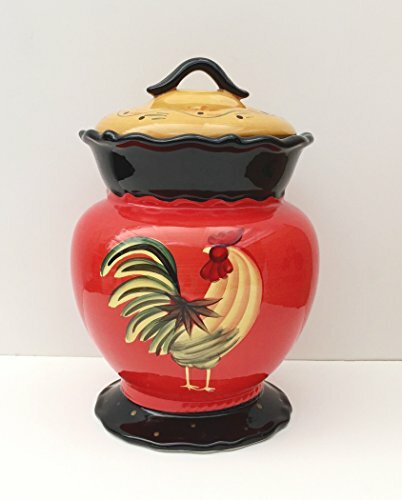 The cookie jars with roosters painted on them are cute too, but I prefer the other. I think they have a greater appeal to most people. 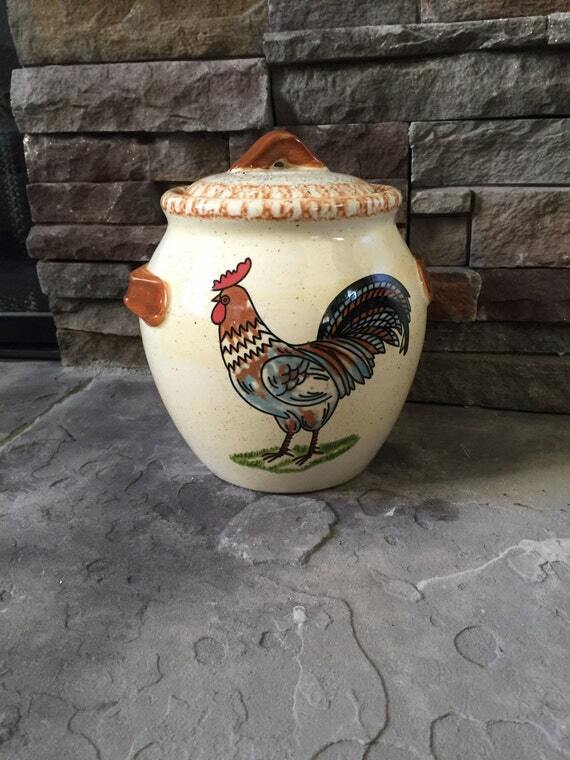 If you plan on keeping cookies in your jar, make sure it has a lid that will seal. 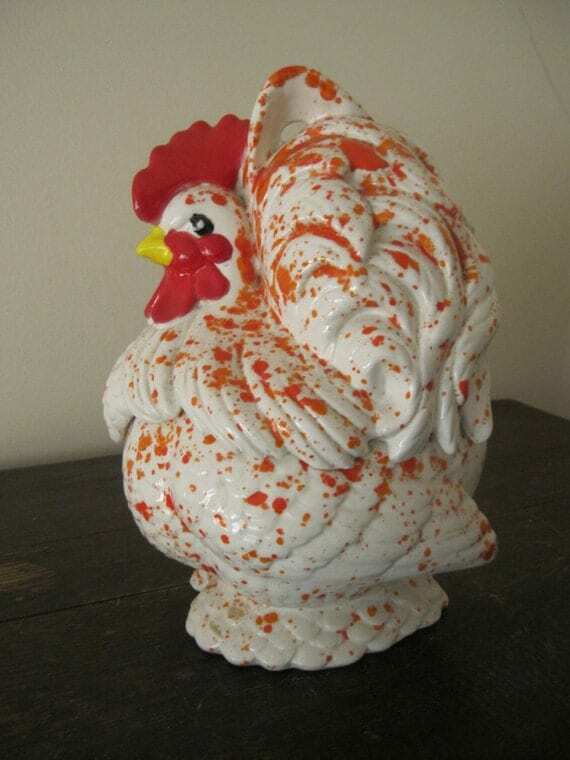 That seems to be a problem with the antiques ones. 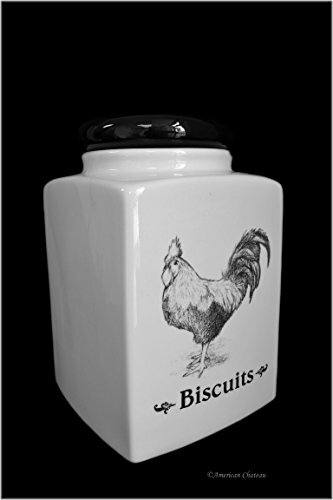 If I find one I love with a non-sealing lid, I will just put a piece of bread in with the cookies to keep them fresher. That is an old trick I learned from my mom. 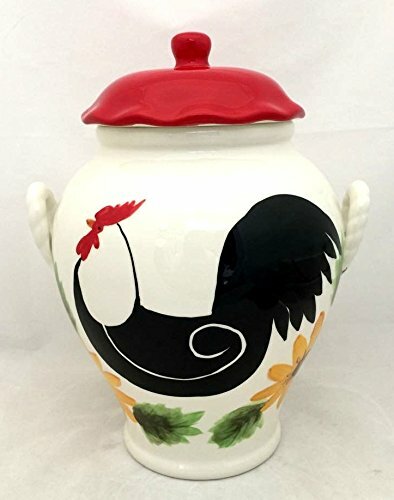 Vintage rooster cookie jars are so nice because they have some wear and tear on them already to create that vintage look. But I am just as happy with the vintage “looking” ones. 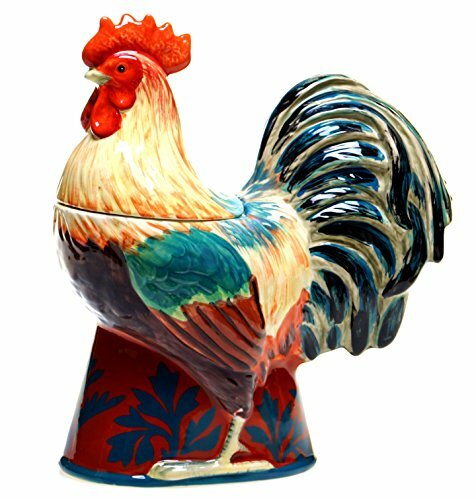 I don’t mind replicas at all. 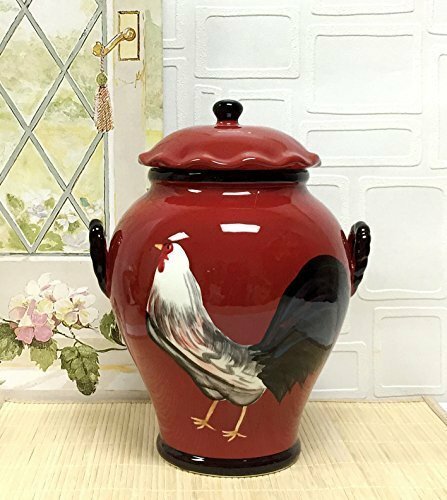 Some of these are old and considered antique, but may not be considered vintage. 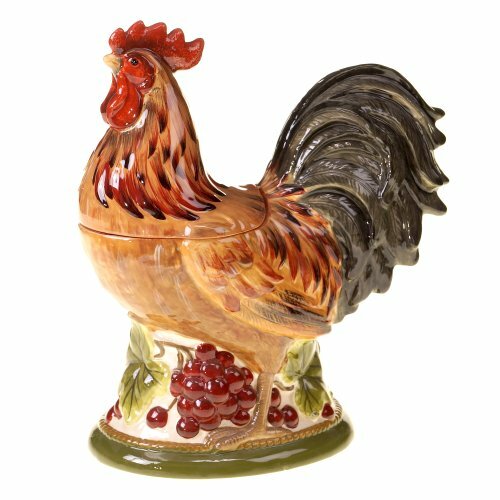 The rule of thumb is if it’s over 100 years old, its considered an antique, and if it is younger, it is considered vintage. 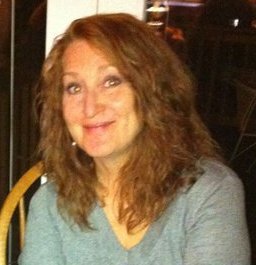 Here are some of both. 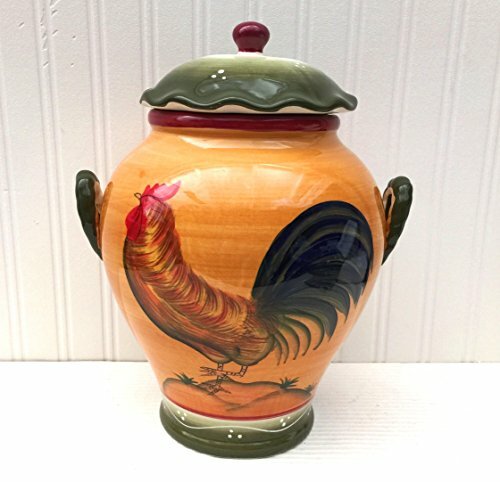 If you don’t like old things, here are new rooster cookie jars to choose from. Some may look vintage, but they are brand new and have never been used. 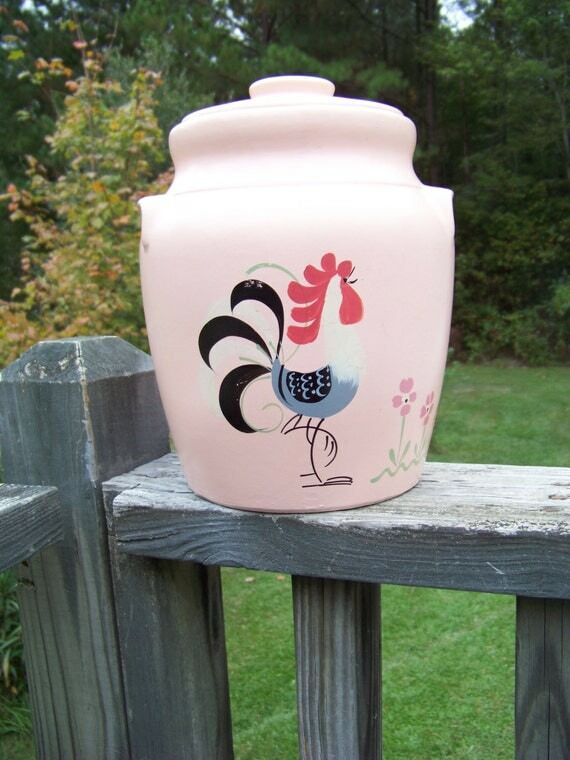 These are the canister looking rooster cookie jars. 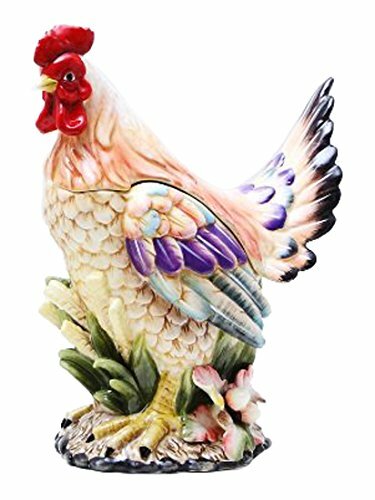 They usually have a painted rooster on them. 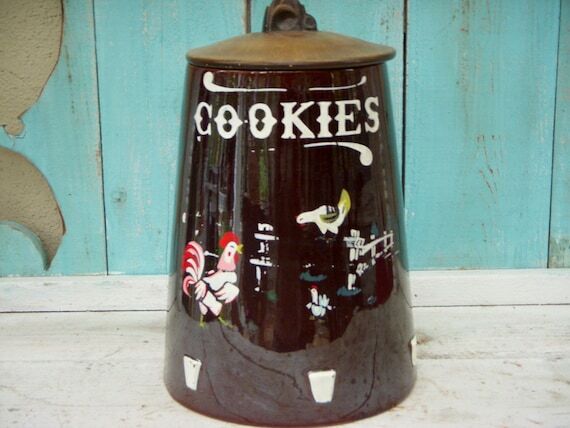 The canister type cookie jar can really hold anything, it doesn’t have to be cookies. 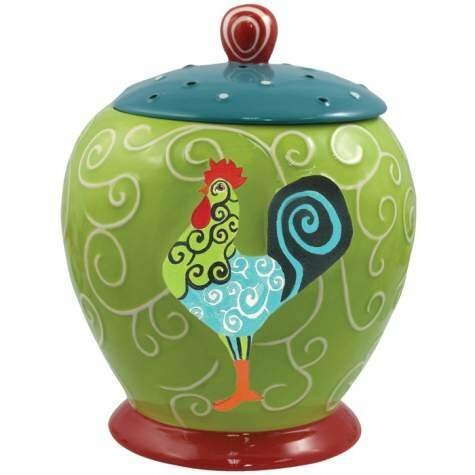 They are pretty and a great pop of color in any kitchen. 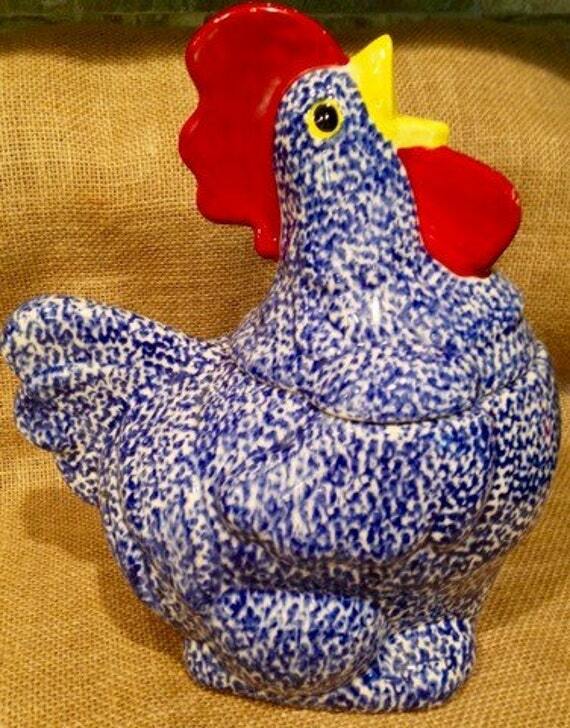 Rooster shaped cookie jars are my favorite. 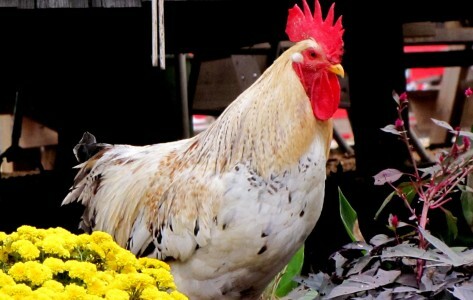 They come in all different shapes, sizes and colors. 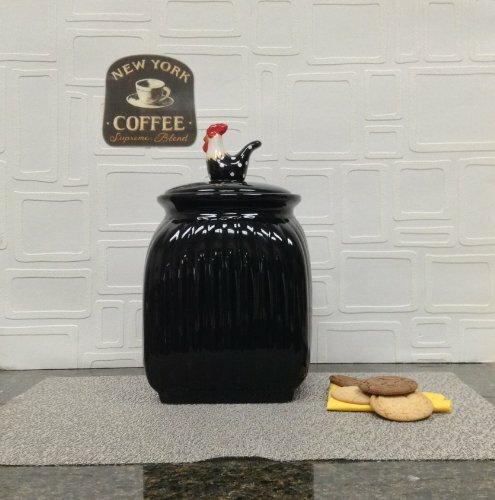 You could have 2 or 3 different ones all sitting together on your counter top for a pop of color in your kitchen.